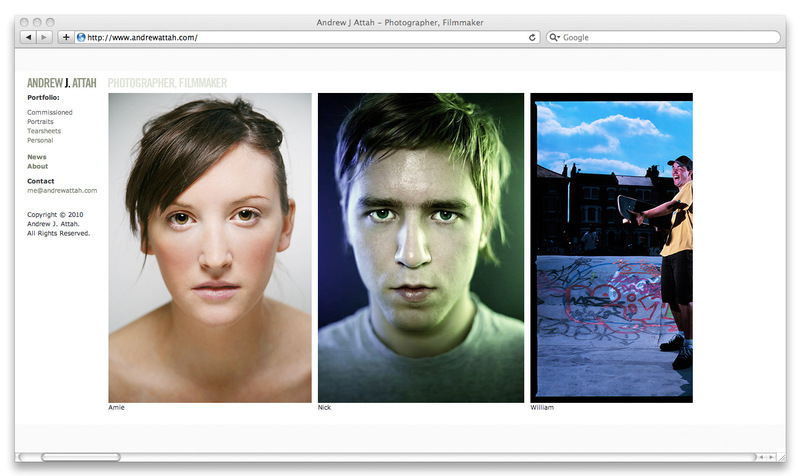 This week I helped Photographer Extraordinaire Andrew Attah spruce up his website. Now it’s finished, I don’t feel like I did much at all to contribute, but I guess my, er, expertise made a difference. I am pleased with it regardless! 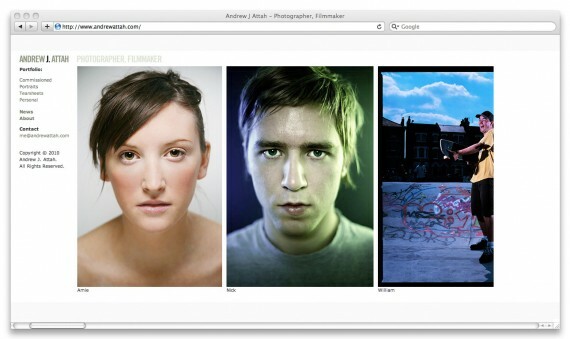 Andrew had the right idea from the start, by moving away from Flash for his online portfolio. He found the nice little open-source CMS Indexhibit to base his new site on, which I then offered to help tidy up. I tinkered a little with the plugins and layout and flexed some CSS to make what we have here – a lot more balanced and user-friendly, but still minimal enough to let the photography do the talking, which is the idea of a photographer’s portfolio! Check out AndrewAttah.com for a better view of the site and his photos, and keep your eyes peeled for the snaps from his recent Danny Byrd and Netsky photoshoots. Yeah!